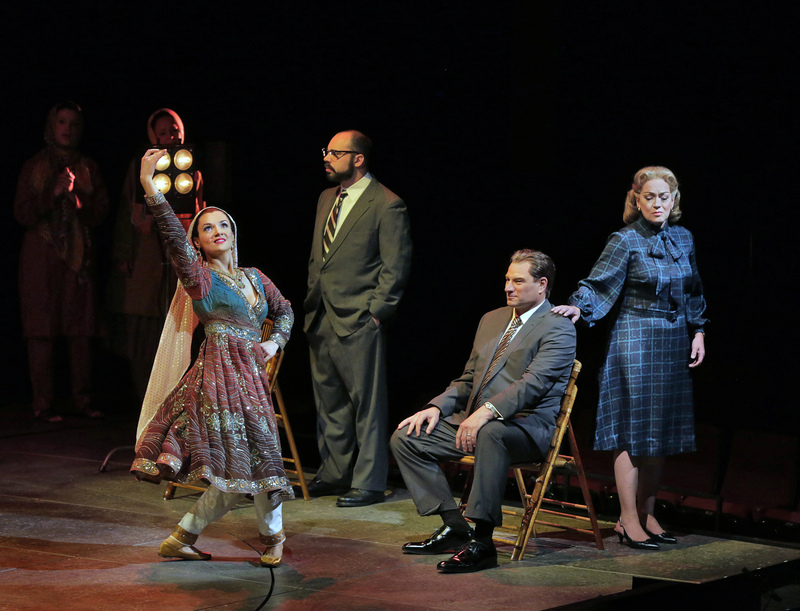 FURIOUS TABLA PLAYING and a modern-dress chorus immediately set Shalimar the Clown apart from the rest of Opera Theatre of Saint Louis’s standard-rep season. 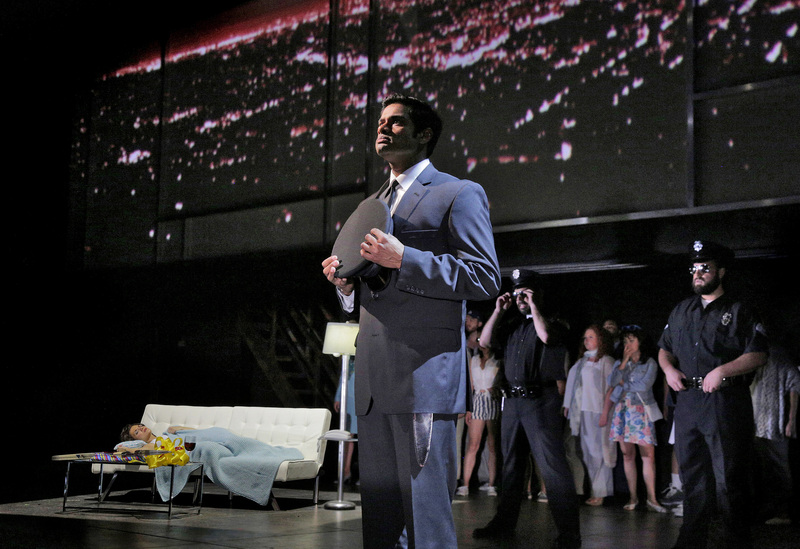 The opera, which received its world premiere on June 11 at the Loretto–Hilton Center, is part of the company’s “New Works, Bold Voices” initiative, which commissions American works based on contemporary source material—in this case, Salman Rushdie’s sprawling 2005 novel, which hops between ’80s L.A., ’60s Kashmir, Vichy France and points in between to explore how a lovestruck Indian–Muslim tightrope walker became an American chauffeur turned assassin. A very major event occurred last night at Opera Theatre of St. Louis–the world premiere of Shalimar the Clown, an opera based on the novel by Salman Rushdie. This is a commissioned work, with music by Jack Perla and libretto by Rajiv Joseph. The setting is primarily in Pachigam, a small village in the Vale of Kashmir (with a prologue and epilogue in California). The Vale of Kashmir is a place of legendary beauty–a lush valley replete with gardens, orchards, lakes and saffron fields, surrounded by the grandest, most beautiful mountains in the world. It nestles between India, Pakistan and China. Your grandparents would recall the sweet old parlor ballad penned in 1902, “Pale Hands I Loved Beside the Shalimar,” a song that conveyed the idyllic romance with which the world regarded Kashmir. (“Shalimar” is the name of a famed Mughal garden in Srinigar.) For centuries Kashmir was a peaceful land, where Hindus, Muslims and others lived in harmony–or what the natives call kashmiriyat. But since the partition of India in 1947 Kashmir has become a war-torn province filled with religious strife. Our story deals with Shalimar, a young tight-rope walker in a folk theater troupe. He falls in love with Boonyi, a beautiful dancer. After they are discovered making love their fathers command that they be married to restore their honor. Others protest, because Shalimar is a Muslim and Boonyi a Hindu, but Shalimar’s father, a respected elder, says that such a wedding is acceptable in the spirit of kashmiriyat. After the wedding, the American ambassador, Max Ophuls, visits and sees the troupe perform. He’s enchanted by Boonyi and invites her to dance in New Delhi. She is eager to escape her backward village. An affair blossoms between Ophuls and Boonyi; a baby is born. The rest of the story follows Shalimar and his thirst for vengeance against Boonyi, against Ophuls, and even against the daughter born of that illicit liaison. 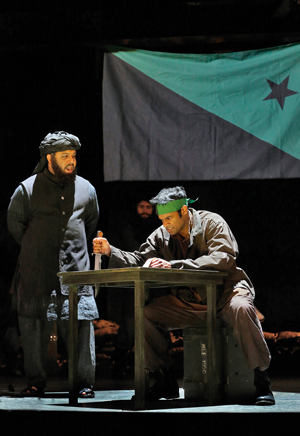 Shalimar is drawn into a radical Islamist band of rebels, where he becomes a skilled assassin. 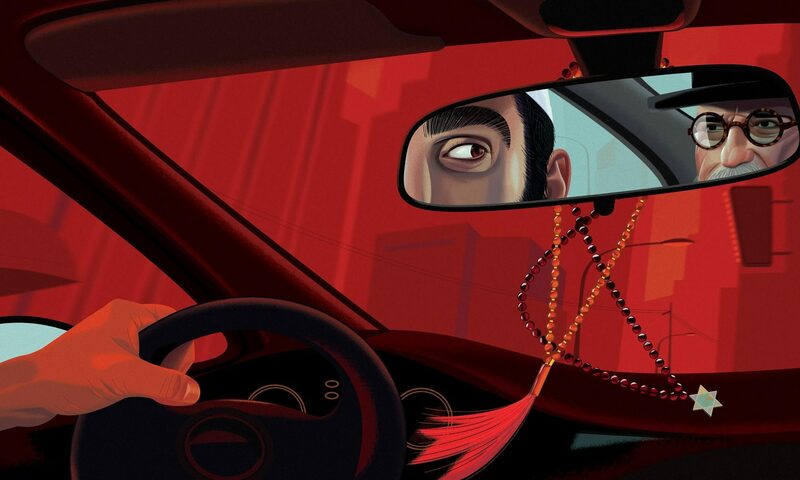 This man, who’s name means, in Sanskrit, “abode of love,” has become the abode of bitter, bloody vengeance. He pursues it for twenty-five years. Composer Jack Perla is a jazz musician as well as a composer of opera, chamber and symphonic music. His beautifully orchestrated score for Shalimar reflects all of these genres as well, of course, as a strong thread of northern Indian music. The raga, that complex, cyclic idiom, is present throughout Shalimar. The orchestra is augmented by Arjun Verma on sitar and Javad Butah on tabla; they do beautiful work. A synthesizer adds to the Indian flavor with electronic versions of the santoor (a kind of hammer dulcimer), the tanpura (a larger drone cousin of the sitar), and the harmonium. All of this adds lovely flavor and richness to the score. 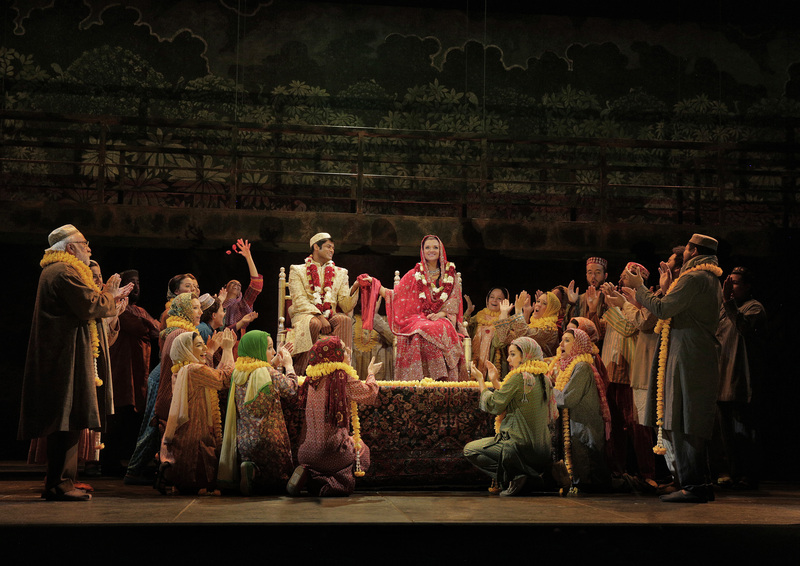 In the final moment as Shalimar and the illegitimate daughter, India, stand armed and poised to kill each other these instruments engage in a supremely intense raga that supports the conflict beautifully. In its compact forty-year history, the ambitious Opera Theatre of Saint Louis has just triumphantly presented its twenty-fifth world premiere with Shalimar the Clown. 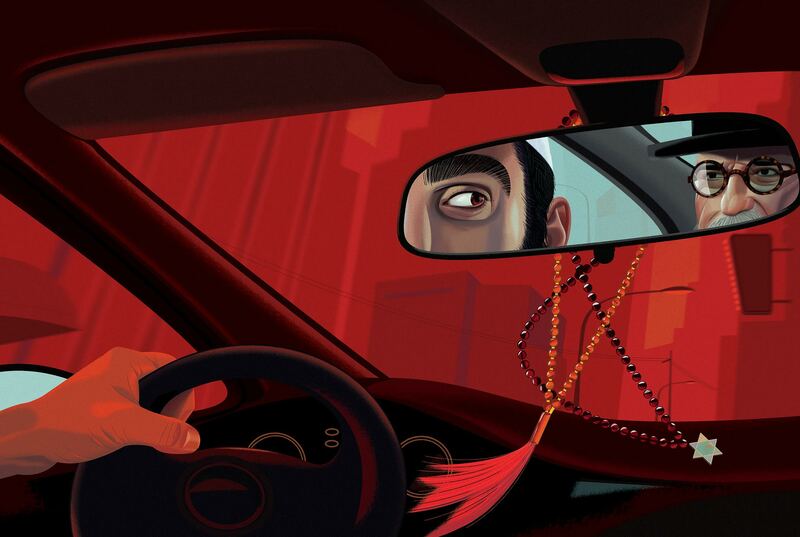 This riveting new work by composer Jack Perla and librettist Rajiv Joseph (based on Salman Rushdie’s novel of the same name) is not so much a towering achievement, as another astonishing over-achievement from this committed and (apparently) tireless company. Like OTSL’s Champion and 27 before it, Shalimar the Clown seems destined for further greatness. That is owing to not only a restless, unnerving score replete with profound dramatic declamations but also colored with serenely beautiful melismatic phrases. Mr. Joseph as crafted a lean skeleton of a libretto that connects all of the major occurrences with uncanny precision. And composer Perla has masterfully crafted a score that truly sings, and which sounds like nothing else in the operatic canon. My new opera, Shalimar the Clown, opens tonight at Opera Theater St. Louis. The opera is based on the 2005 novel by Salman Rushdie, with a libretto by 2016 Obie Award winner and Pulitzer prize finalist Rajiv Joseph. 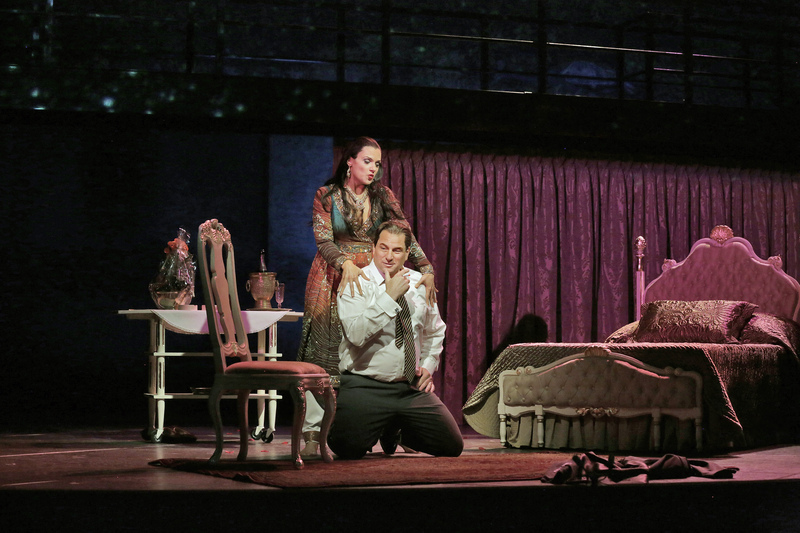 This world-premiere production stars tenor Sean Pannikar and soprano Andriana Chuchman as lovers Shalimar Noman and Boonyi Kaul. The cast includes Greg Dahl, Aubrey Allicock, Jenni Bank, Thomas Hammons, Katharine Goeldner, Geoffrey Apgalo, Elliott Paige and Justin Austin. Maestro Jayce Ogren conducts the St. Louis Symphony Orchestra and the OSTL Chorus. Arjun Verma is our sitarist & Javad Butah our tabla maestro. The production and design team, led by director James Robinson, includes Allen Moyer (sets), James Schuette (costumes), Christopher Akerlind (lighting), Tom Watson (wigs and makeup), choreography (Sean Curran) and Greg Emetaz (projections). Maestro Robert Ainsley prepared the magnificent OTSL chorus and our coach and pianist is Andrea Grant. Jack Perla and Rajiv Joseph’s new work for Opera Theatre of Saint Louis, Shalimar the Clown, based on Salman Rushdie’s novel, aims for the power of grand opera and the impact of contemporary relevance. For a company still operating on a dangerously thin margin, the East Bay’s indispensable Festival Opera has been doing pretty much everything right. 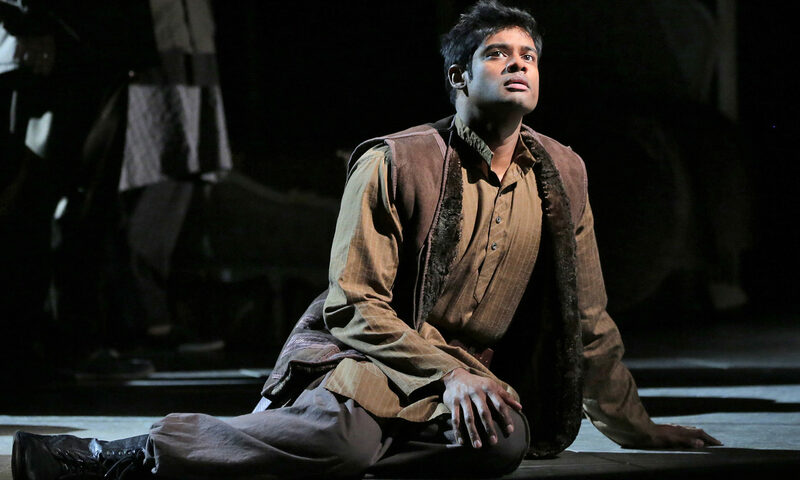 The company’s most recent offering — an Indian-themed double bill of operatic one-acts — was canny, affecting and beautifully economical. You really couldn’t have asked for more. opera, with “River of Light,” a year-old creation by San Francisco composer Jack Perla. The two pieces called out to each in interesting ways, joining India’s mythic past with its contemporary international standing. 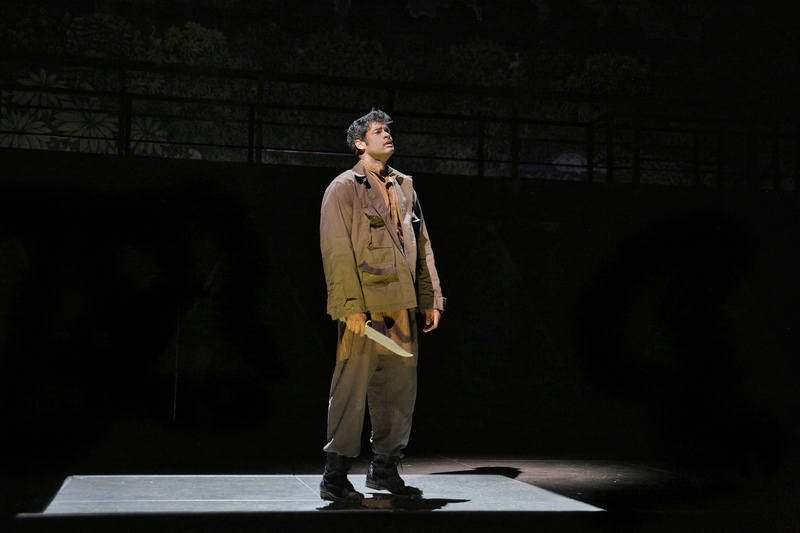 And even if Sunday’s final performance at the Oakland Asian Cultural Center showed signs of cost-cutting in the staging and presentation, there was no scrimping on musical excellence. Both works, conducted by John Kendall Bailey and featuring casts headed by soprano Maya Kherani, were executed with sensitivity and panache. For the 40-minute “River of Light,” Kherani returned to give another superb performance as Meera, an anxious Indian immigrant in Oakland trying to figure out how to impart some of her cultural heritage to her newborn daughter. 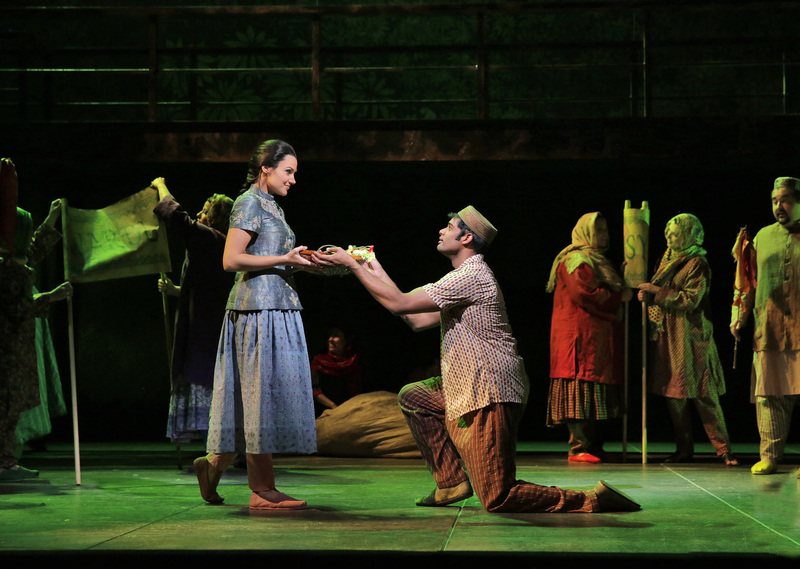 Chitra Banerjee Divakaruni’s libretto too often resorts to brusque shorthand to make its points as it skips from one holiday scene to the next (the piece feels more like a storyboard for a full-length opera than a well-shaped dramatic work in its own right). But Perla’s score, for a quintet of Indian and Western instruments, is a subtly cross-pollinated marvel, blending long, arching melodies with bursts of coloratura in ways that never seem forced. 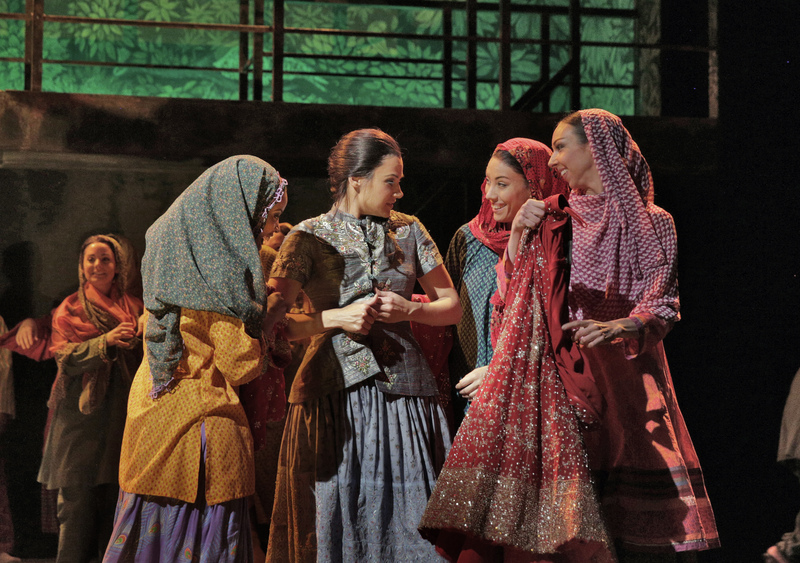 Meera’s anguished central aria about feeling marooned in a land far from her family and traditions took wing on the strength of Perla’s tender writing and Kherani’s stirring performance. 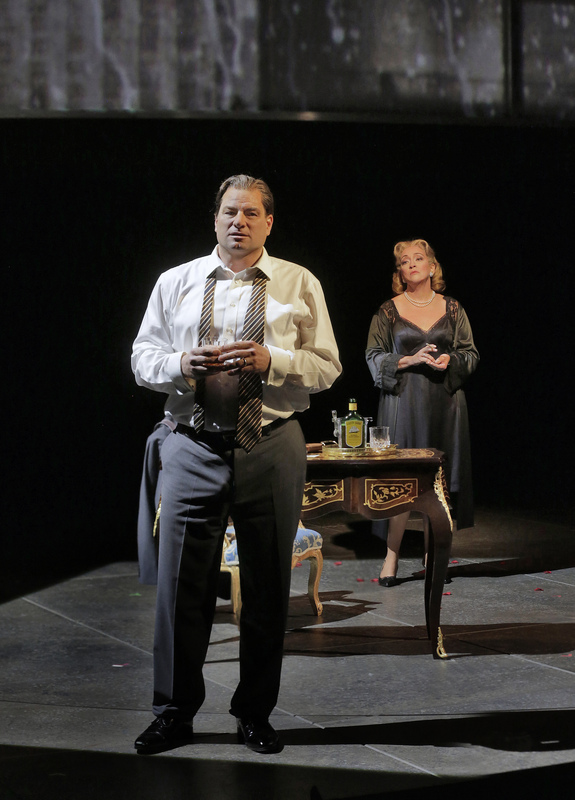 Baritone Daniel Cilli was a bluff, sympathetic figure as Meera’s American-born husband, and Molly Mahoney and Michael Boley added spice as the Fred-and-Ethel next-door neighbors. The program began with an winning invocation provided by sitarist Arjun Verma, tabla player Nilan Chaudhuri, and dancers Richa Shukla and Gopi — all of whom returned to participate in “River of Light.” This was crossover programming at its most persuasive. Joshua Kosman is The San Francisco Chronicle’s music critic. Festival Opera is a small company with a small budget, and director Tanya Kane-Parry’s staging was powerfully minimalistic. She manipulated levels to suspenseful effect: As Satyavan sings, Death looms behind him, perched on a tree stump. But the lack of scenery and amateurish props made the production seem more like a school play than a professional opera. 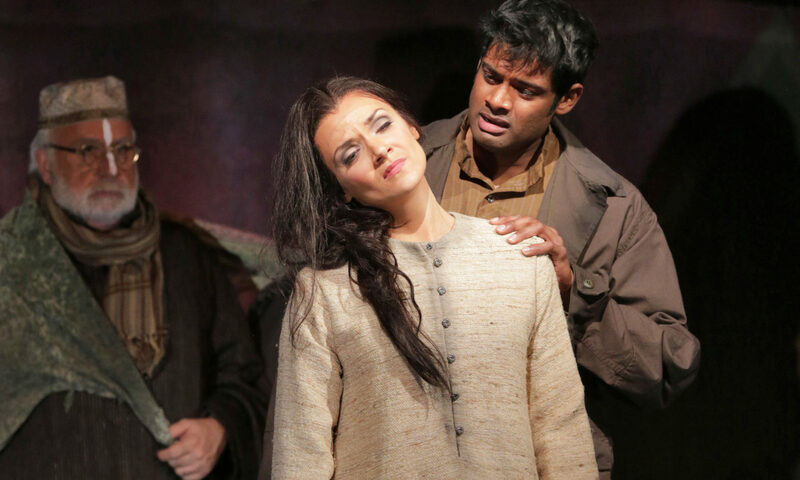 Holst envisioned an intimate setting for Savitri, but this is a story of literally epic proportions, and Festival Opera’s production needed more pomp. In contrast, Jack Perla’s “River of Light” made the space come alive. Perla, a San Francisco-based composer and pianist, wrote the work in 2013 for the Houston Grand Opera’s community initiative HGOco. 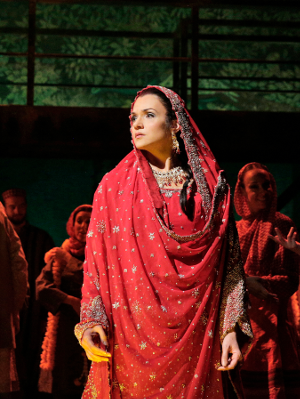 Kherani debuted the role of Meera, a successful businesswoman and newlywed who has little time or energy to reconnect with her Indian roots. But after the birth of her daughter, Meera longs to recreate the traditions of Diwali, the Hindu festival of lights. Houston-based author Chitra Banerjee Divakaruni wrote the libretto, whose references (Children’s Fairyland, The Chapel of the Chimes) were tailored to Oakland for this performance. The opera is dynamic from its opening Kathak dance (an expressive, classical style from northern India), which was choreographed by Antonia Minnecola and performed by Richa Shukla and Gopi. 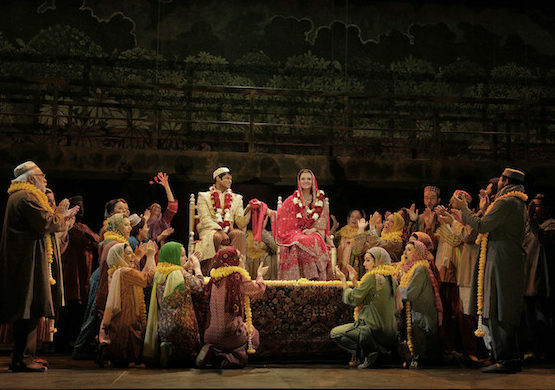 Kherani was vibrant as Meera, and baritone Daniel Cilli brought his usual charisma to the role of Meera’s husband, Burton. His voice sounded much stronger on Saturday than it did in Festival Opera’s production of Ariadne auf Naxos last summer. Tenor Michael Boley and mezzo-soprano Molly Mahoney, playing the neighbors, rounded out the ensemble. Perla, who has written operas for the Los Angeles Opera, Opera Theater of Saint Louis, and Seattle Opera, is also active in jazz and world music. His versatility as a composer shines in River of Light, which seamlessly integrates jazzy chords in the keyboard (Ben Malkevitch) with tabla (Nilan Chaudhuri) and sitar (Arjun Verma), violin (Lee), and cello (Amy Brodo). Particularly rewarding is Perla’s use of tabla; rarely is rhythm so present in opera.